Boat Tours in Kiev, along the Dnieper River kind of reminded me a popular track from early 2000 by Electric Six - Danger! High Voltage. Loud music, a lot of booze and hell - it's really cool. We were just checked in at Hotel Ukraine, had some rest after a flight and decided to explore Kiev by night. We went out from the hotel, around the Independence square caught a taxi and asked for some recommendations - boat tour was an idea from the taxi driver. We agreed, and soon we were taken to the place named River Port from where boats are departing. There are several places in Kiev where the boats depart. The most easily accessible by metro is the River Port (10 min walk from Pochtovaya Ploshchad metro station of the Blue line) and the mooring near the Dnepr metro station (Red line). Embarkation begins 1 hour before the departure time. The "Kiev Panorama" 1 and 1.5-hour boat tours allow time to admire the fascinating scenery of the Right and the Left Bank of Kiev. Sights include the stunning domes of Kiev-Pechersl Lavra, the beautiful Vudybetsky Monastery, the magnificent St. Andrew’s Church and the Magdeburg Rights Column. 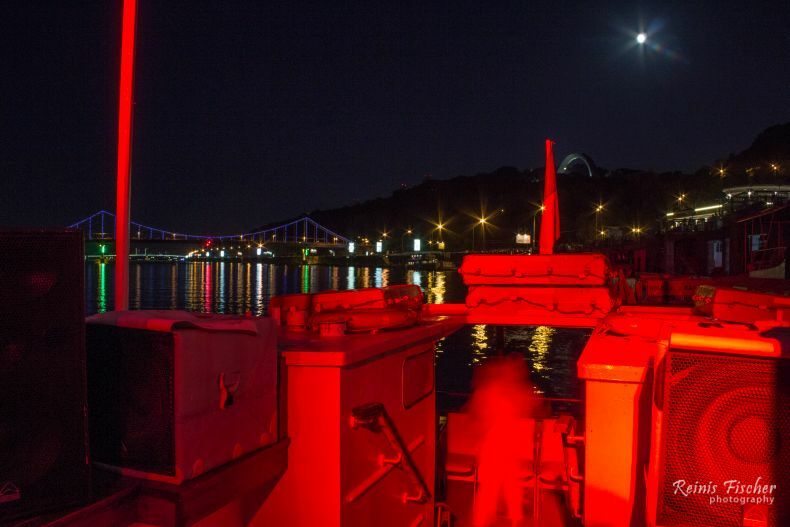 These Kiev Panorama boat tours depart every day from 10:00 to 19:00 and cost 100 hrn (4 Euros) for the 1-hour tour and 120 hrn (5 Euros) for the 1.5-hour tour. A 50 % discount is given to children aged 7-14 years. The boats depart every hour but usually wait until they are filled or leave earlier if there is the demand. There are two longer boat trips on Saturday and Sunday, the tour lasts 3 hours or 4 hours and leaves at 13:00 and 15:00. 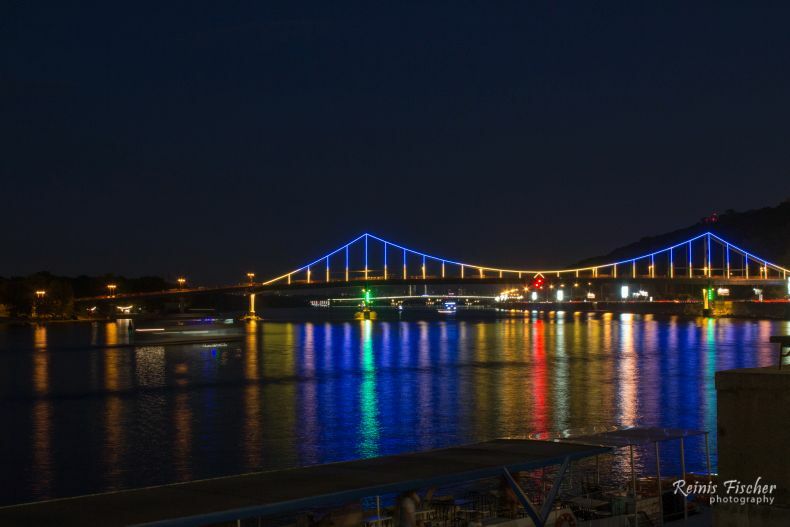 These cruises are fascinating as they follow the Dnieper River upstream to the Kiev Reservoir, which is often referred to as the Kiev Sea. To reach the Kiev Sea the tour boat enters massive locks, which lift the boats up by 7-8 meters and hold back the vast amounts of water with huge iron doors. During this journey, you will enjoy varied beautiful landscapes of the Dnieper hills and the tour is highly recommended as an alternative activity while in Kiev.The ticket price for this longer boat trip is 220 hrn (9 Euros) and 259 hrn (11 Euros).